As the World Cup kick-off approaches, Budweiser, Icelandair and more are using experiences to get closer to fans. Campaign rounds up the activations to watch. The Anheuser-Busch InBev beer brand is one of the main sponsors for the tournament, and is hosting a cruise for football fans to watch the games as part of its "Light up the world cup" campaign. 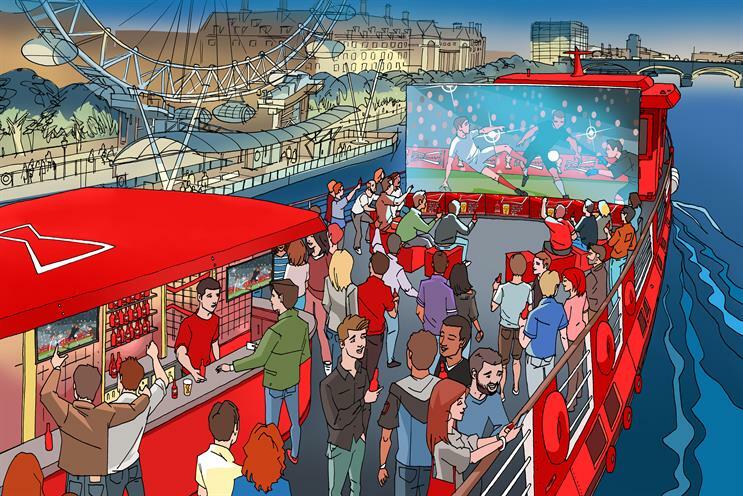 The boat will travel along the Thames showing key matches on large screens. The activation will have 17 screens on board, including one measuring three metres by three metres. There will also be food and drink available, as well as DJ sets and football legends. The experience will be open for two hours before kick-off to create some pre-match excitement. The first event takes place on 14 June, showing the Russia versus Saudi Arabia game. The work is being delivered by Octagon. Vivo "My time, my FIFA World Cup"
The official smartphone sponsor of the games, Vivo has been recruiting football fans consumers and special guests. These "fan photographers" will be given a Vivo smartphone and granted stadium and pitch-side access to capture exclusive content, such as pictures of the pre-match warm-ups, to share with fans worldwide. Vivo will also be hosting music-themed activations, such as the Vivo Super DJ show that will run at all 64 matches. BBC "History will be made"
A giant embroidered tapestry is how the Beeb is bringing the heritage of the World Cup to life. The seven-metres long installation takes in some of the most iconic football World Cup moments, and will expand during the 2018 tournament. 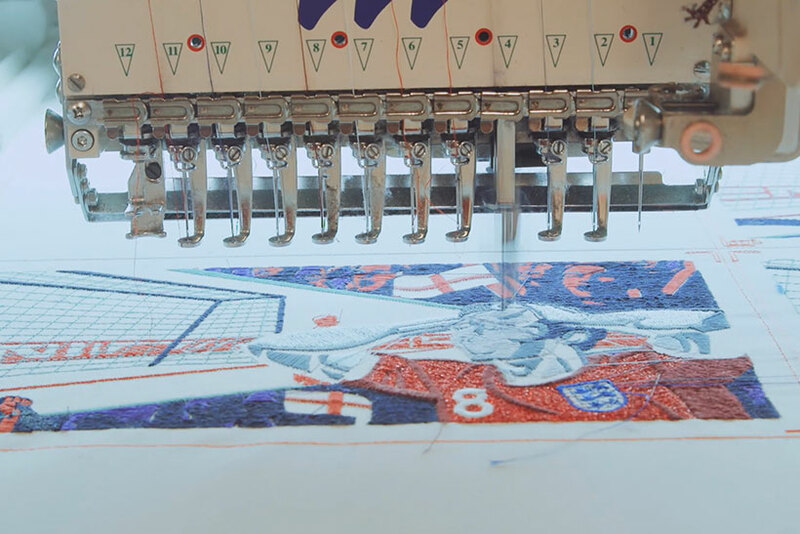 The work is part of the BBC’s embroidered tapestry animation campaign created by BBC Creative. Icelandair "Icelandair Team Iceland stopover"
The airline is creating 90-minute football experiences that have been curated by the Iceland football team. Passengers can enter a competition whilst travelling with the airline to be in with a chance of winning experiences around culture, fitness and well-being. The campaign has been created by The Brooklyn Brothers and Icelandic agency Islenska. 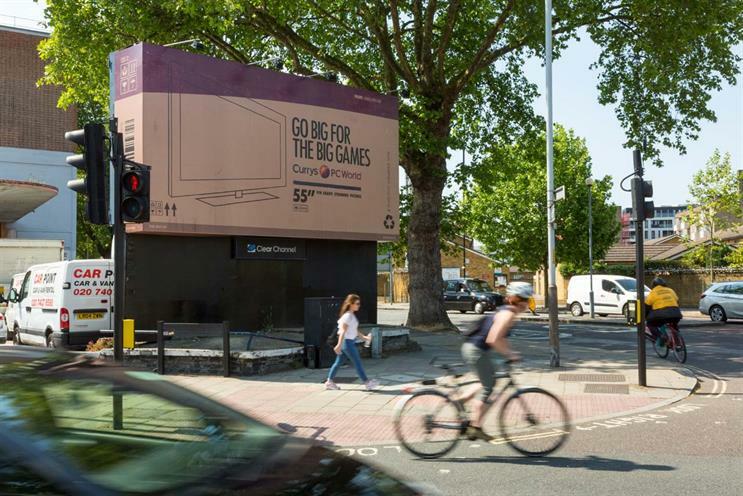 Curry’s PC World "Go big for the big games"
In a bid to get football fans to "to go big for the games" in time for kick-off this Thursday the retailer has been covering out-of-home poster sites with large cardboard boxes to look like packaging. The activation was created by Abbott Mead Vickers BBDO and delivered by Clear Channel. Coca-Cola has partnered Electronic Arts and global esports company VY Esports to host the Russian Interactive Football Cup. It is the official qualifier for the EA Sports Fifa 18 Global Series, leading to the Fifa eWorld Cup 2018. During the Russian Interactive Football Cup, players, fans and celebrities participate in an array of online and live esports events, with VY Esports creating branded content such as player stories, game highlights and recap shows.